In his works, Kay Walkowiak often explores different cultural approaches to art, although he does not intend to draw comparisons, but demonstrates that concepts taken for granted in one cultural environment are received entirely differently in others. In 2014 Walkowiak brought art objects primarily presented in the Western museum space to a culture with a completely different aesthetic perspective. 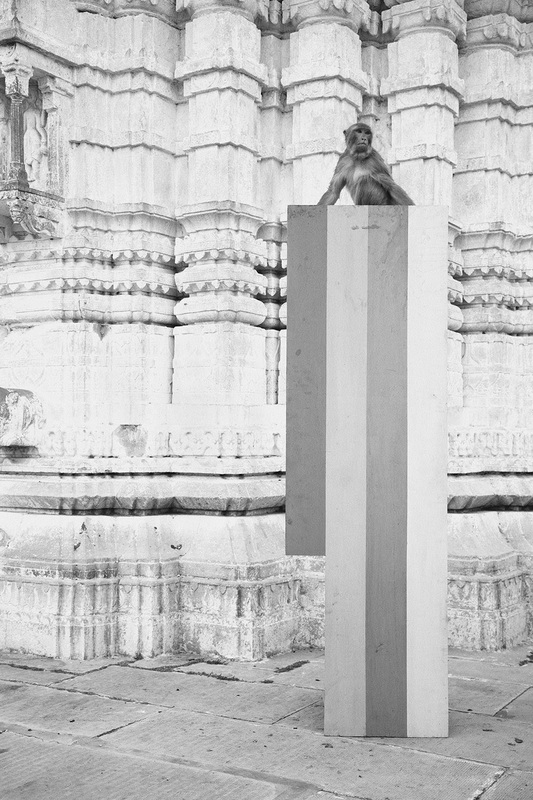 During travels to India, he presented macaques with minimalistically painted boards. The animals’ reactions to the works were captured in the film “Stimuli” (Full HD video | 16:9 | 2.22 min. | Color | Sound). 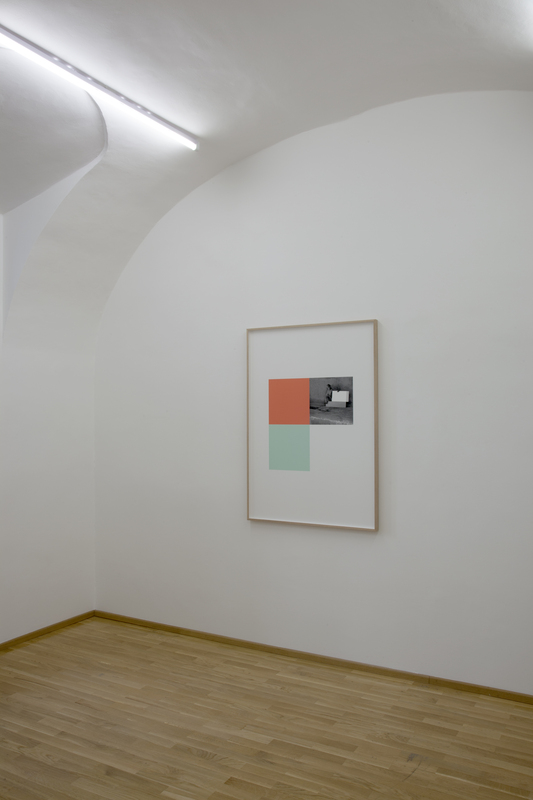 It is a humorous investigation of the perception of minimalism and the reception as well as interpretation of art. The traditional circumstances require a detached, rational and analytical reception of art, completely opposed to the monkeys’ behavior that is in part directed by affect, far from any intellectual reflection. 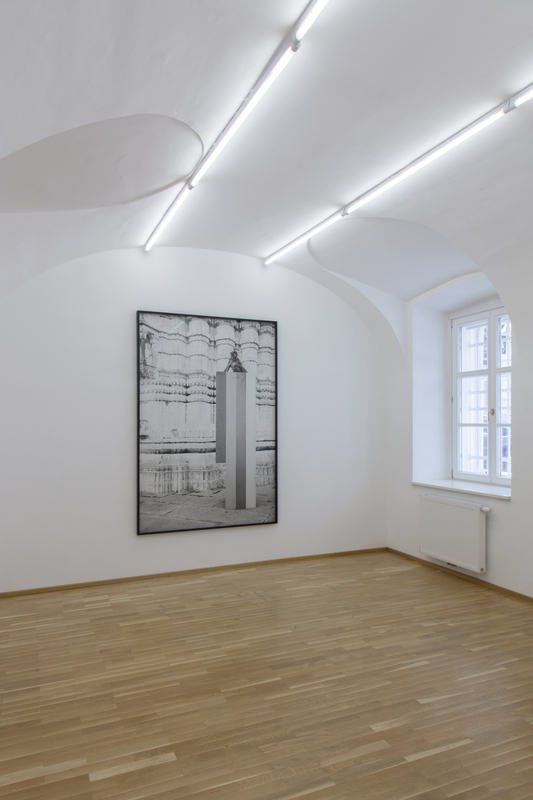 A large number of potential recipients is deterred by the often complex scholarly interpretion of art and as a consequence avoids engaging with contemporary art. Walkowiak, however, reminds the audience that the works of art do not invariably require this cumbersome interpretation and it can be led ad absurdum. The constructivism of the modern era, formalism and minimal art are partly characterised by geometric arrangements without layers of meaning. Still, recipients have been encouraged by the shapes to generate metaphysical dimensions to the artwork. Form was used as expression of intellect, to add meaning to simplification after the fact. Walkowiak’s critique addresses this phenomenon. He creates objects that represent nothing but themselves. Following this thought, he likes to use geometric elements in his art, because form is only a concept that does not carry any meaning. Still the observer will try to project meaning onto the geometry. This aspect of humans’ constant longing to find meaning is thus bluntly exposed by Walkowiak. This is the foundation of the serial work “Primary Structures” (archival pigment print on Fine Art Photo Rag). 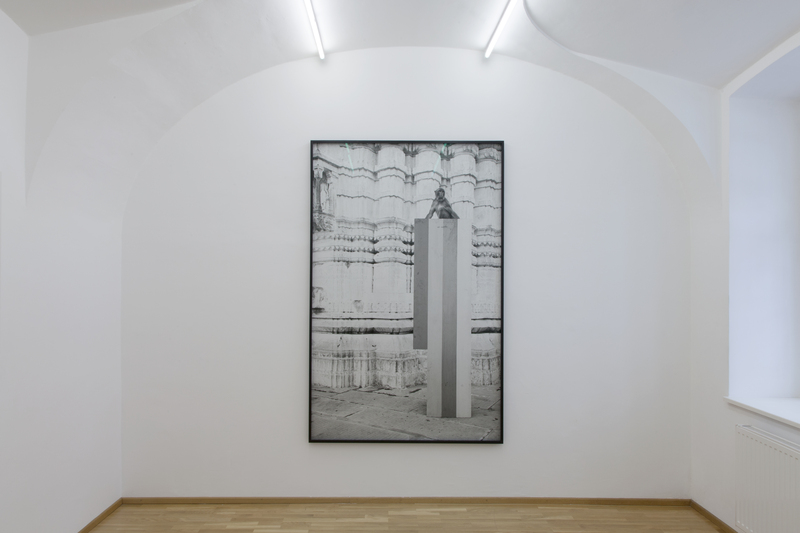 The performative in “Stimuli” was documented in black and white photographs. The compositions are multi-part works of art with regular variations. In an academic reading, the geometric form of the square could be practically tortured. 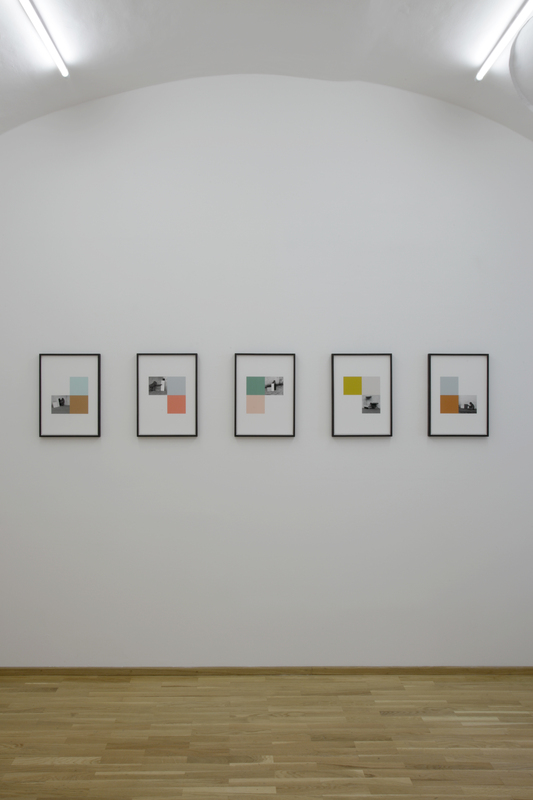 A square canvas is divided: two single colour squares and one photograph as well as one empty square make up each work. These parts are constant, they are only accentuated by a change in their arrangement. Every square in the works can be received independently. 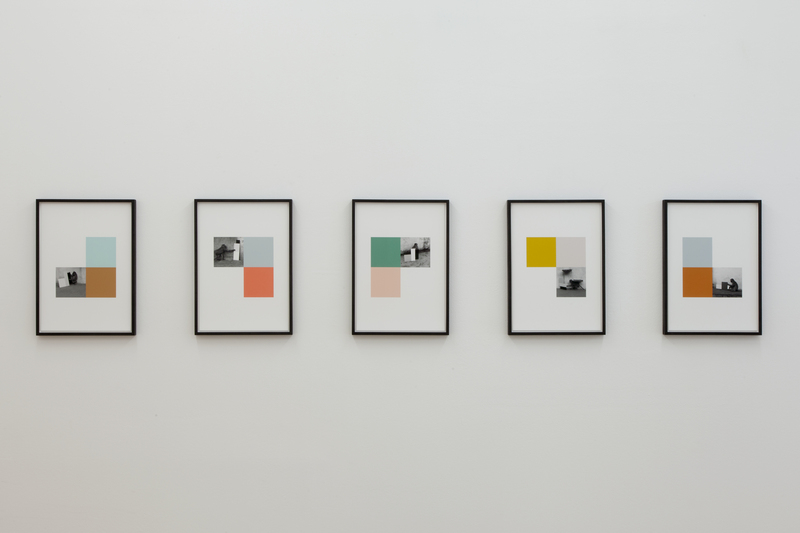 From the perspective of art theory, the question arises whether and how the coloured squares should be perceived – as a spatial construct? This is mostly achieved by the contrast effect of colours, the dynamic of which might even create emotions. However, owing to the arrangement of the colour squares there can be no depth or even space. 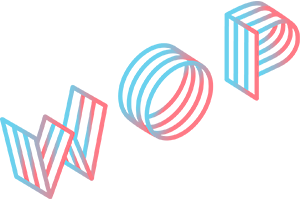 Apparently in complete accordance with the wishes of the artist, the search for a meta layer to the colour composition ends in failure. 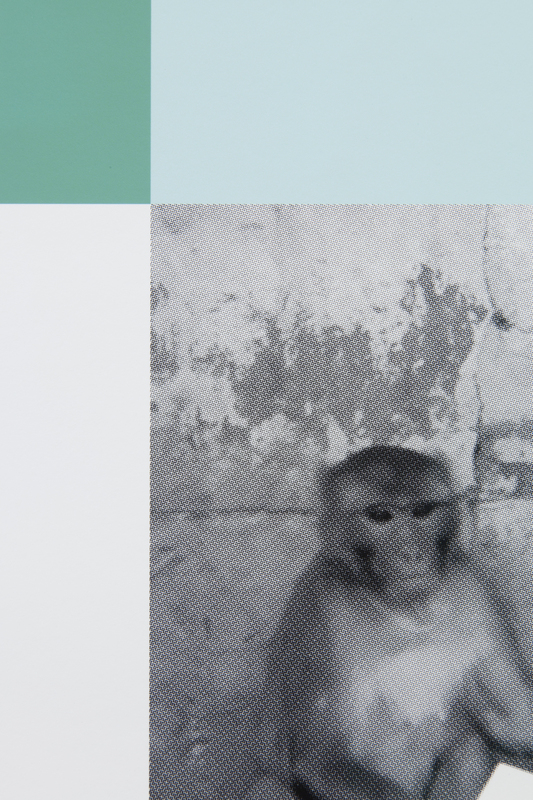 The three printed squares are, in their number, a reflection of the 3-part boards that the macaques are handling in the photos. 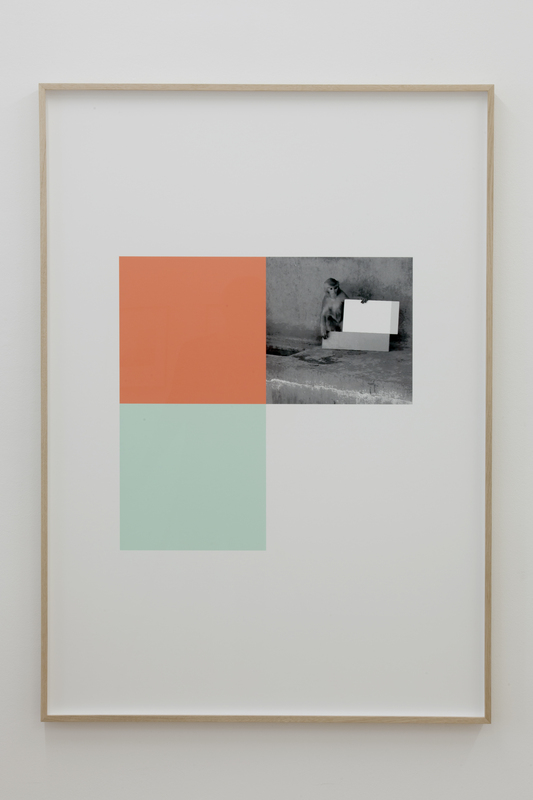 The missing forth image element emancipates itself out of the arrangement of the other squares and assumes a creative character as a negative form; it is both a square hole in the composition and a square part of the artwork. All separate works in „Primary Structures“ make up a complete concept. 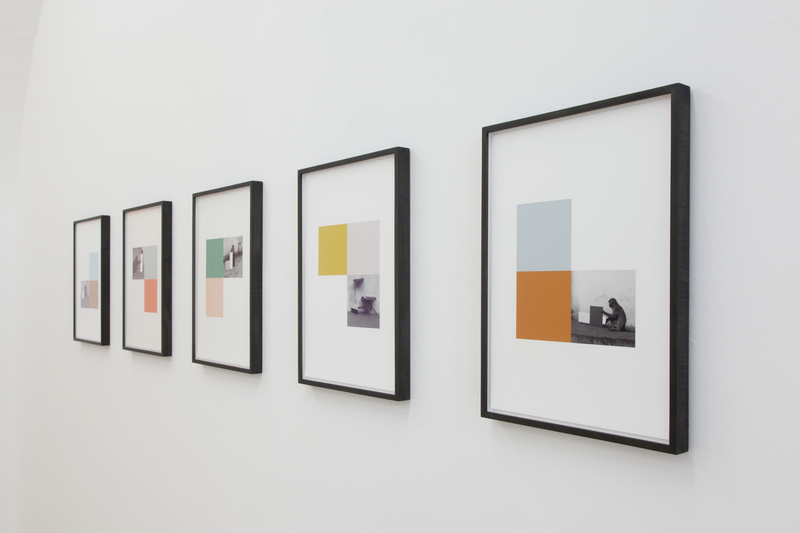 The series is read like a story by the recipient – the performative moment comes through again here. 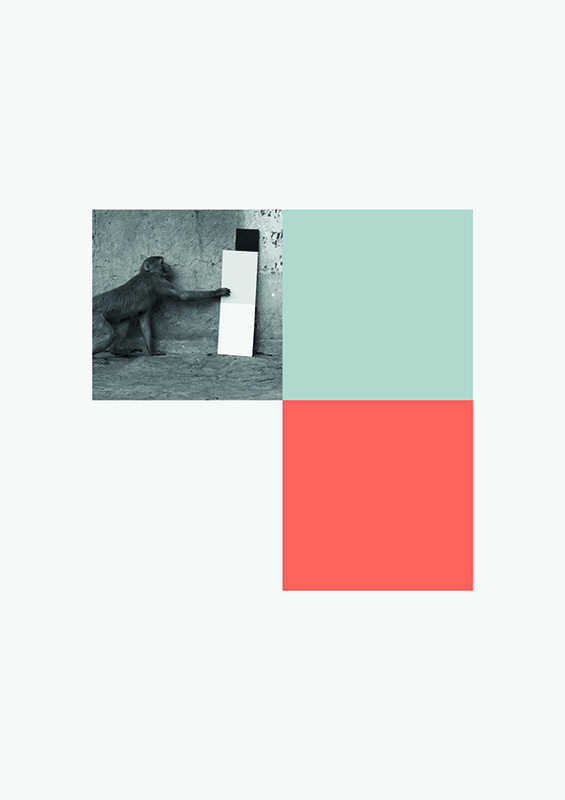 The coloured squares are in a formal relationship with the black and white photographs: The monkey is the recipient of the art object in the photograph. 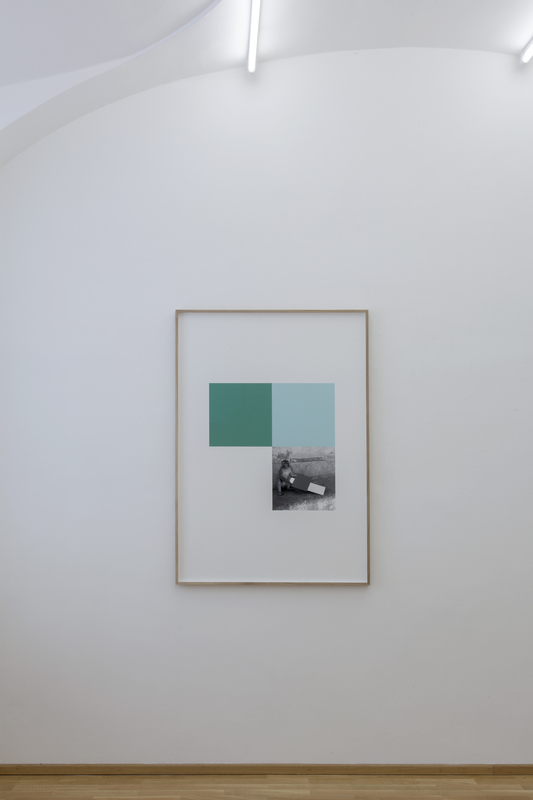 The viewer of “Primary Structures” itself can receive this moment together with the coloured squares that make him – just like the animals – a consumer of these subject-less works of art and consequently question his very act in that moment.